Provides insight into MVC authentication events and user identity role. Z-Ray on Apigility provides insight into MVC authentication events and user identity role. Provides developers with deep insight into all the different Zend Framework 2 code elements, and defines the routing logic for Zend Framework 2 requests. The Zend Framework 2 plugin provides in-depth visibility into your application, with live and detailed information on all the different framework elements working under-the-hood. Get general information about the application's configuration, together with valuable profiling data on events, modules, and view helpers. The Zend Framework 2 plugin also defines the routing logic for Zend Framework 2 requests - for better events aggregation in Zend Server, and improved results for URLs in URL Insight. Application Config: displays configuration information about the Zend Framework 2 application, including a modules list, configuration paths, and listeners. Config: displays general Zend Framework 2 configuration data, together with user-specific data. Events: shows a list of all the Zend Framework 2 events that were triggered during execution, with information on the event name, the source file path and line of code in the file, consumed memory, and time duration for the event. Modules: shows a list of all the Zend Framework 2 modules loaded on the page, with information on the module configuration and the location of the source file. Request: displays general information on the request, including the request method, the HTTP response, the request path, the request action and controller, and the used template. Response: provides information on the response, including the response header, metadata, and response content. Version: provides basic information on the Zend Framework 2 version. View Helpers: shows a list of all the Zend Framework 2 view helpers used on the page, including a count and properties. Provides developers with full visibility into all the different framework elements in the code, and defines routing logic for Zend Framework 1 requests. The Zend Framework 1 plugin gives full visibility into all the different framework elements in the code, providing general information on the request, as well as detailed profiling data on plugins, views, and view helpers. 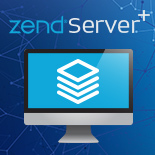 The Zend Framework 1 plugin also defines the routing logic for Zend Framework 1 requests - for better events aggregation in Zend Server, and improved results for URLs in URL Insight. Request: displays useful information on the request, including the request template, used methods, and the request status. Displays information on all Zend Framework 1 internal plugins, including received objects and parameters. Shows a list of all the Zend Framework 1 views, including their location and helpers. View Helpers: shows a list of all the Zend Framework 1 view helpers, including their arguments and helper objects. Request Object: displays detailed profiling information for the Zend Framework 1 request objects. Provides valuable information on Laravel applications, making debugging easy and simple. Laravel plugin provides valuable information on Laravel applications, making debugging easy and simple. Z-Ray gives a complete picture of your Laravel environment - including all the fired events, loaded views, and stored sessions. Events Log: displays a list of all the Laravel events that were fired during the request. General: shows information on the Laravel installation and environment, such as the application and URL paths, and the application version. Route: displays information on the application route, including a specified name and defined route filters. Session: displays the name and value for stored sessions. User Information: provides useful information on the current user of the Laravel application, such as the user name and authentication data. Views: shows information on currently loaded Laravel views, including their application file path, and any passed parameters. Provides deep insight into all the Magento elements constructing your eCommerce app, and defines the routing logic for Magento requests. The Magento plugin extends Z-Ray to display all the Magento elements constructing your eCommerce applications. Using Z-Ray, you’ll be able to profile loaded blocks, modules, triggered events and observers, all the various Magento handles, and see additional useful information on the request and application. The Magento plugin also defines the routing logic for Magento requests - for better events aggregation in Zend Server, and improved results for URLs in URL Insight. Overview: gives a general overview of the Magento application, including the site’s name and ID, cache method, and more. Events: lists all the Magento events triggered by the request. Get information on the event’s name, class, method and target, as well as how long the event lasted. Observers: lists all the Magento observers on the page, including information on the associated event, the observer type, used method, and more. Layouts: lists all the current Magento template layouts. Rendered Blocks: lists all the current rendered template blocks creating the current page, including performance profiling. Blocks: this panel outlines all the Magento blocks used on the page, including information on their template and class. Logs: displays Magento Mage::log calls adding a log entry. Modules: lists Magento installed modules. Provides information on all the various Symfony elements constructing the page, and defines the routing logic for Symfony requests. The Symfony plugin extends Z-Ray to display Symfony information on all the various Symfony elements constructing the page, including bundles, events, and listeners, together with general information on the setup and the request. The Symfony plugin also defines the routing logic for Symfony requests - for better events aggregation in Zend Server, and improved results for URLs in URL Insight. Lists all the used Symfony bundles on the page, with information on the bundle name, its namespace and container and the source file path. Lists all the Symfony events that were triggered by the request, with information on the event name, the event type, the event dispatcher, and an indication on whether propagation was stopped or not. Lists all the Symfony event listeners used on the page, with information on the associated event. Displays useful information on authentication and authorization, including an indication on whether security is enabled or not, usernames and passwords, and information on used access tokens. See detailed information on your app's cached PHP scripts by OPcache, including statistics and graphs. In the status tab one gets useful information about the OPcache memory usage as well as some general statistics and settings. The Scripts tab will display all cached scripts plus creation and last used time information. As a Z-Ray extension is enabled after a specified function is called, one has to modify the zray.php so that it fits to the appropriate application. By default the OPcache extension is enabled after calling session_start() function. If the application doesn't call this function please change zray.php in line 12 accordingly with a a function name which is ideally called on every request. Provides detailed information on all the Drupal code elements working under the hood. The Drupal plugin extends Z-Ray to display detailed information on all the elements working under the Drupal hood. You’ll be able to see a list the modules loaded on your page, together with the hooks and actions they invoked during the request. In addition, you’ll be able to see a list of functions called during the request and all the forms used on the page. Last but not least - Z-Ray will display useful information on the current user. Called Functions: provides a list of all the called Drupal functions on the page. Get the function name together with the name and values for any parameter passed for the function. Loaded Modules: displays a list of all the loaded Drupal modules on the page. Module Invoke: displays a list of loaded Drupal modules together with any action and hook they invoked during execution. Retrieved Forms: displays a detailed information for used Drupal forms on the page, including the form name, the form ID, cache, the form method, and more. User Info: displays useful information on the current user and authentication, such as the user ID, host, and defined user role. Allows you to edit your code directly Z-Ray! The Online Editor plugin displays a code editor in Z-Ray whenever you click the Show in IDE icon instead of opening the file in your IDE, allowing seamless online editing of your code. Any changes made to your code are saved in the files themselves, and you can even select between different themes to change the editor look and feel. Note: The Online Editor runs with the same permissions as the PHP user, which may be limited based on your operating system. Provides information about various Doctrine 2 elements. Have a look inside entities and entity mappings, queries with parameter and used caches. The Doctrine 2 plugin for Zend Server Z-Ray provides various information about the usage of Doctrine 2 in your application. Get a deeper look into entities and entity mappings, queries with parameters, events and cache. Note: real queries are calculated as Number - Cached. Provides detailed information about WordPress code elements, such as crons, cached objects, plugins, themes, hooks, and more. The WordPress plugin extends Z-Ray to display all the details about WordPress code elements, with information about crons, cached objects, plugins and themes, hooks and additional profiling information that is useful during development. The WordPress plugin also defines the routing logic for WordPress requests - for better events aggregation in Zend Server, and improved results for URLs in URL Insight. Dashboard: provides useful information about the WordPress installation, including version, whether debug mode is enabled, the used template, and crons status. Cache Objects: lists all the cached WordPress objects on the page, including their name and size. Plugins: helps you understand which plugin is consuming the most resources by specifying all the different plugins enabled on the page, together with the time they took to load. Hooks: outlines all the WordPress hooks triggered during execution. See the name of the hook, it’s type (action/filter), the file path, and the time it took to execute. WP Query: displays the current main WordPress query (e.g. the post query). Crons: gives insight into the WordPress cron system. View the hooked functions used, their schedule, any defined arguments for the cron event, and the time of the next execution. Provides statistical information about your MariaDB client connections, user connections, and index and table usage. The MariaDB plugin extends Z-Ray to display statistical information about your MariaDB client connections, user connections, and index and table usage. Find more information at MariaDB User Statistics. Statistics about client connections, like total connections, concurrent connections, CPU Time, Bytes received and sent, amount of statements and more. Statistics about user connections, like total connections, concurrent connections, CPU Time, Bytes received and sent, amount of statements and more. Statistics on index usage, e.g. locate unused indexes. Provides information on the Composer packages used on the page, together with a full mapping of all the used classes. Z-Ray on Composer provides extra information on the Composer packages used on the page, and a full mapping of all the used classes. Lists all the Composer packages used on the page, with detailed information on each package, including: name, version, source, requirements, authors, and home page. Provides a complete mapping of the classes used on the page, including the class name and the source file location. Easily troubleshoot your Joomla app with info on Joomla configuration, request data, modules and events. A must-have for any Joomla developer! Displays Redis-specific in-depth information, including Redis configuration, memory, and cache writes and reads. Provides valuable information on CodeIgniter applications, making debugging easy and simple. The CodeIgniter plugin provides valuable information on CodeIgniter applications, making debugging easy and simple. Z-Ray gives a complete picture of your CodeIgniter environment - including all loaded views, models, helpers, hooks and configuration files. Extends profiling data available in Z-Ray by adding information about Magento2 specific instances: modules, blocks, plugins, events and observers. The Magento2 Z-Ray plugin extends the available profiling data by adding information about Magento2 specific instances: modules, blocks, plugins, events and observers. Using the Magento2 Z-Ray plugin you can track heavy constructors, blocks rendering calls, behavior extension by plugins, the number of observers listening to specific events and the their execution time. Events: lists all the Magento events triggered by the request. For each event next information is available: event's name, class, method and target, as well as how long the event lasted. Rendered Blocks: lists all rendered blocks involved in current page build process, including performance profiling. Blocks: outlines all the Magento blocks used on the page, including information on their template and class. Plugins: lists all plugins created during the request processing with mapping to intercepted class. Intercepted methods: full information on intercepted class/method with list of its plugins and time on their execution. Created objects: lists all objects created on the page with time spent in constructor. Observers: all observers registered in configuration with ability to filter by area. Provides an example of how to extend Z-Ray which includes a basic implementation of the Z-Ray extension API. The Samples plugin is an example of how to extend Z-Ray, and includes a basic implementation of the Z-Ray extension API. Provides information on the Amazon instance Zend Server is running on. This plugin only functions properly in an Amazon environment. The Z-Ray AWS plugin provides information on the Amazon instance Zend Server is running on, including the instance ID, the host name, public key, and more. This plugin only functions properly in an Amazon environment. Provides detailed information about queries and commands using the new PHP mongoDB drivers (will be compatible with PHP 7). The mongoDB plugin provides information about queries and commands using new PHP mongoDB drivers. It will be compatible with PHP 7. See your DB commands details. The IBM i Toolkit plugin shows each RPG/COBOL program call, CL call, XML input/output, SQL statement, timing and more! The Z-Ray IBM i Toolkit plugin allows IBM users to collect all the information in transit from and to AS400 generated by calls made going through the XMLTOOLKIT library. All the indications about each CL command executed, and each program call done to RPG / COBOL programs. Using this plugin, IBM users can save valuable time which is otherwise spent researching the debug log files. To use the plugin, the IBM i Toolkit needs to be installed. The library is installed by default for Zend Server on IBM i users. 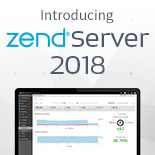 If you're using Zend Server on Windows or Linux, go to http://www.youngiprofessionals.com/wiki/index.php/XMLSERVICE/PHP for more information on how to install the library. Note: The plugin is not supported in the Zend Server for IBM i Developer Standard edition. This plugin helps Yii Framework 2 developers by providing them additional information about the the assets, db sql statements, extensions and routing information. The Yii2 plugin extends Z-Ray to display Yii2 information on all the various Yii2 elements constructing the page, including Asset bundles, SQL queries, and logs, together with general information on the setup and the request. The Yii2 plugin also defines the current route and Controller/action for serving requests. You can see the log of SQL queries and the time spent on each SQL statement with the trace stack. Lists all the used Yii2 asset bundles on the page, with information on the bundle name, its path, css, js and 'depends on' information. Lists all the SQL statements executed during the life cycle of the current request. Logging info includes type, query, duration, timestamp, trace and sequence of the SQL statement execution. Lists all the Yii2 log messages for current request. The information includes message, category, level and time of execution. Shows general page info like Current route, status code received and action serving the current route. Displays extensions installed in the Yii2 Application with their name and version. Displays configuration information which includes Yii2 Version, Application name, Environment, Debug mode, PHP version etc. The CakePHP Z-Ray plugin provides valuable information on CakePHP applications, making debugging easy and simple. Z-Ray gives a complete picture of your CakePHP application - including all the fired events, loaded views, and stored sessions. Events Log: displays a list of all the CakePHP events that were fired during the request. Env: Environment configuration and path information. Plugins: Which plugins are loaded in your application. Request: displays information on the current request and response. Configuration: displays the current configuration data set in Configure. Views: shows information on the view templates that were loaded and processed. Shows profiling information on calls made to the AWS PHP SDK and their result. Extends Z-Ray to display all the details about PrestaShop code elements, including hooks and themes, controllers, smarty infos, css and js files, and more. The PrestaShop plugin extends Z-Ray to display all the details about PrestaShop code elements, with information about the shop, hook and themes, controller, smarty, css, js and additional profiling information that is useful during development. General Info: provides useful information about the PrestaShop installation, including version, whether debug mode is enabled, the used template, and the template directory, whether debug profiling is enabled or not. Controller Objects: lists all controller's information, including the name , controller type (Front or Admin), check if SSL is enabled or not, etc. Hooks: outlines all the PrestaShop hooks triggered during execution. helps you understand which hook is called on a specific page. It help you also to view all the different hooks enabled on the paged. Modules: helps profile the PrestaShop loaded modules on the page by. It help you know whether a module is active or not , whether it is enabled or not, you can see the version of each module, the name and more you can now the the hook id where the module is hooked. Cookies: displays all cookies stored in PrestaShop for a specific page by showing the name of the cookie and the value. Css: gives insight into PrestaShop Css loaded files by a page . It give you the path to the Css file. Gives Concrete5 developers information about the current page's request, the logged-in user and sitewide settings. The current page's blocks, including whether they were served from the cache, (5.7.5 and greater), the area they came from, whether they were rendered, and their corresponding searchable content, and how long they took to render. Which page objects were requested from the current page. Which config values were requested from the current page, their values, and how many times they were requested. The current user's access entities, including which groups they belong to, whether they quality as a "file uploader" and more. Shows the OroCRM configuration settings related to the request execution flow. The Oro Platform provides a flexible way of introducing and managing application configuration. Using the Z-Ray plugin for the Oro Platform, developers get full visibility on configuration state related to the request execution flow, enabling an easy understanding of the application behavior related to it. The php5 Mongo Plugin provides information about queries and cursor manipulations using legacy mongo drivers. Do you use MongoDB as well? The php5 Mongo Plugin provides information about queries and cursor manipulations using legacy mongo drivers. The plugin is targeted mainly to make it easier to check and execute web services that Zend Server provides. This plugin scans the entire code of Zend Server and tries to identify all the available web services, yet not all of them appear on the page, and you might find some services missing. The page was created by Gregory Chris (gregory.chris@roguewave.com) 2016. 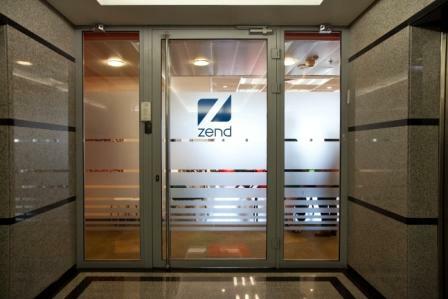 Enjoy, and visit zend.com to check other products and services. Traces the execution of the sugar class and function for SugarCRM 6.5 and displays useful profiling information. Provides additional information on TYPO3 applications in Z-Ray. The TYPO3 Z-Ray plugin provides additional information on TYPO3 applications. This is a plugin to help you debug / profile your use of Riak within your PHP application using Zend's Z-Ray debugging tool. To manually install this plugin, simply download the .zpk file attached to a release, navigate within your Zend Server GUI to "Plugins" -> "Manage Plugins", click "Deploy Plugin" and follow the on-screen prompts within the modal window. To uninstall this plugin, return to the "Manage Plugins" screen and click the trash can for the item listed as "Riak". Basho Labs repos survive because of community contribution. Review the details in CONTRIBUTING.md in order to give back to this project. Provides developers with deep insight into all the different Zend Framework 3 code elements, and defines the routing logic for Zend Framework 3 requests. The Zend Framework 3 plugin provides in-depth visibility into your application, with live and detailed information on all the different framework elements working under-the-hood. Get general information about the application's configuration, together with valuable profiling data on events, modules, and view helpers. The Zend Framework 3 plugin also defines the routing logic for Zend Framework 3 requests - for better events aggregation in Zend Server, and improved results for URLs in URL Insight. Z-Ray extension for Job Queue , to get more insights on your jobs. By Rogue Wave Software, Inc. Enables to run security scans of deployed applications with RIPS static code analysis solution. RIPS is a code analysis software that scans PHP applications for previously unknown security vulnerabilities. This plugin allows to integrate RIPS analysis results directly into Zend Server. It enables to scan the source code of deployed PHP applications or the document root for security issues and to track their overall security state. Further, detailed scan information provide insights about the detected vulnerability types, the affected files, and the related industry standards such as OWASP Top 10, SANS 25, or PCI DSS. Z-Ray Plugin which is triggering a custom event in Zend Server monitoring in every request. Allows to debug a request from the ZS after a Z-Ray has been created.